Chef Neil Rankin shares his top BBQ tips for cooking for the perfect steak, from which cut of beef to pick to how to get it rare, medium and well done. Weather forecasters have been predicting this weekend is going to be a sizzler. And many people taking their first chance of the year for al-fresco dinning to dust off the BBQ. Bad technique can lead to burnt food on the menu so we asked Neil Rankin from the Pitt Cue Co, and currently at the Smokehouse in London, the UK’s BBQ King to share his top tips on how to cook steak on a BBQ. What charcoal should I use on a BBQ? Lumpwood charcoal is best, don’t worry about wood for a steak and it’s much better than briquettes. Best place to get it is from a butchers as they tend to have a supplier of good English charcoal not the chemical stuff you get in supermarkets. The better what you cook over the better the flavour of the meat. The one-use BBQs are still alright to use but good charcoal shouldn’t be expensive. What is the best way to light a BBQ? I use a blow torch and light it in a couple of places. People complain about the liquid starters and say there is a smell but that will burn off. You can get natural fire starters now made out of cardboard. Don’t use petrol, the fumes can be dangerous and it’s a waste of money. When is my BBQ ready to cook on? Don’t use too much charcoal – people pile it up and light it and then when it’s roaring throw a steak on and it blackens, it’s all wrong. You are looking for the same heat you would have in a pan on a stove, frying pan temperature. Wait until it dies down a little to a medium heat. Ideally you will have a hot bit of the BBQ and cooler bit – perhaps on the side without charcoal under the grill for slower cooking. What kind of steak is best for BBQ? You want something big – a 2kg rib-eye so it can get that crust on the outside and still be juicy in the middle. I wouldn’t use a T-bone because the bone gets in the way of the char you are trying to get and gives you an uneven cook. You are better off with a sirloin or fillet than a T-bone. Buy absolutely the best you can afford, there is nothing wrong with supermarket steaks but I would go for a local butcher always. Eight our of ten times a steak from a butcher is going to be better in my view. 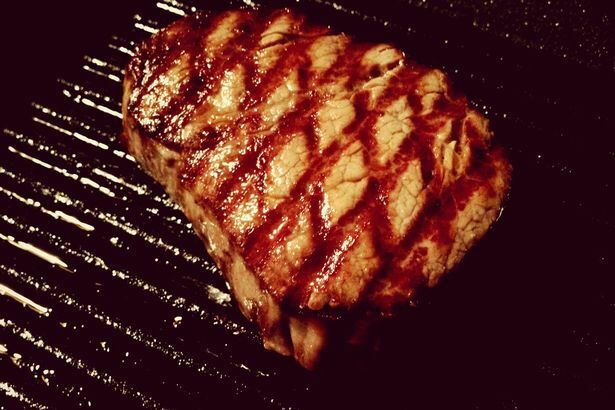 How to prepare the perfect steak? Don’t do anything to it, maybe a bit of salt but not much. I would start with it from cold, from the fridge is fine, unless you can take it out of the fridge the night before it will still be cold anyway. 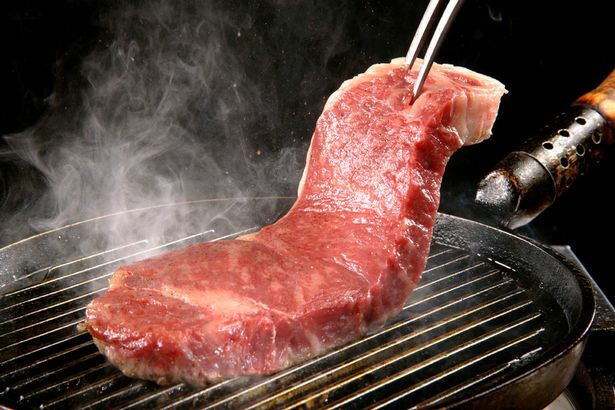 A 1.5kg steak will take nine hours to come up to room temperature. You want colour and a crust on the outside but not overcooked in the middle so a bit cool actually helps this. Put your steak and on and keep turning it, move it around on the grill all the time. The coldest part of the BBQ is where your food is so keep moving it. Cook with your ears when you can hear the fat sizzling you know it is cooking, when that stops move it. 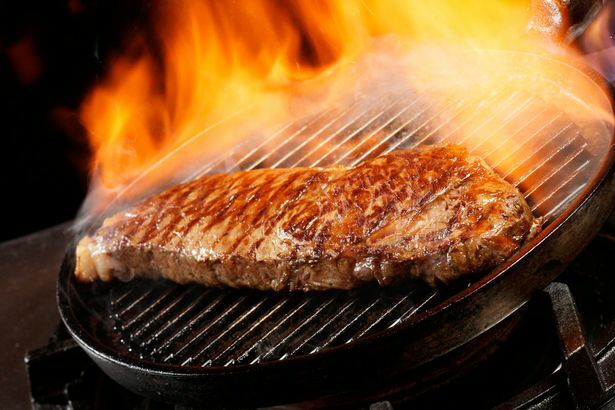 It’s physics – the heat goes from the coals to the grill bar to the steak and so you need to move to find around more hot spots and keep that energy up. I would concentrate as a home cook on getting as much colour on it and then resting it in the cooler part of the grill and then slicing it and eating it. How long shall I cook for a raw, medium or well done steak? With a fillet steak hardly cook it, just enough to warm it through. If you have a cooking thermometer with a probe you put in you can go on temperature – up to 55 degrees for rare 60C up to 65C for medium and well done over 65C. Sear it for five minutes and then move into a lower temperature zone and three minutes for rare, five for medium/rare, eight minutes for medium and for well done leave it longer. You can easily over cook a fillet or sirloin if you are not careful. You don’t want a grey steak which is raw in the middle – that is not a well cooked steak. What should I serve BBQ steak with? It’s all about condiments for me – the more the better. Sriracha chilli sauce, salad cream, homemade mayonnaise. Have some fun.